As I have mentioned on a number of occasions, I am a huge fan of the Ombré trend. Not just hair but clothes, nails, duvet covers.. you name it, if its ombre then I love it! This weekend I took a massive leap of faith and got my hair ombré'd!!! It was super scary and my lovely hairdresser did keep reminding me before hand that I would be putting bleach for the first time into my hair and that it will look fab but will ultimately leave it damaged - eek. However I have been so bummed with my drab long heavy hair for so long now that I decided to just go for it!! The process including a cut and blow dry took almost 4 hours! I had a fresh brown put on the top part of my head and then 2 (maybe 3) different bleaches down the lengths to create the ombré effect. I didn't want anything too blond or too contrasting as this can make the whole look a little trashy and "homemade" so we went for some caramel colours which sounded lovely to me! The end result is even better than I imagined it would be! The ends came out a lovely toffee colour which blends really well with my naturally dark hair, and it doesn't feel half as dry as I thought it would. I had THE best blow dry ever as well which really showed off my new layers - I really need someone to come and blow dry my hair every morning.. any takers?? I get quite bored on trains. I had my hair done at Toni & Guy in Reading. 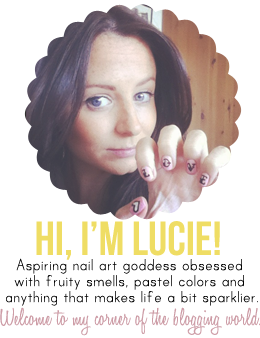 Give me a shout on Lippylucie1@hotmail.co.uk or comment below if you want to know prices or anything else! Will you be getting your hair ombré'd?? i just dyed my hair red, maybe next time i should try ombre! BTW the ombre hair suits you really well! Toni & Guy always does a great job!! This is one of the prettiest ombres I've seen. It looks lovely and really suits you!